While experimenting with radios for the MMDVM Project (and here), I needed a programming cable for some Motorola GM340 and GM380 radios. A friend of mine had access to the programming software through his job, but couldn’t locate his programming cable for these radios. Seeing they were available cheaply on eBay, and knowing the likely ‘guts’ of such a cable, I decided to experiment with some standard designs. It didn’t take long to reach success! 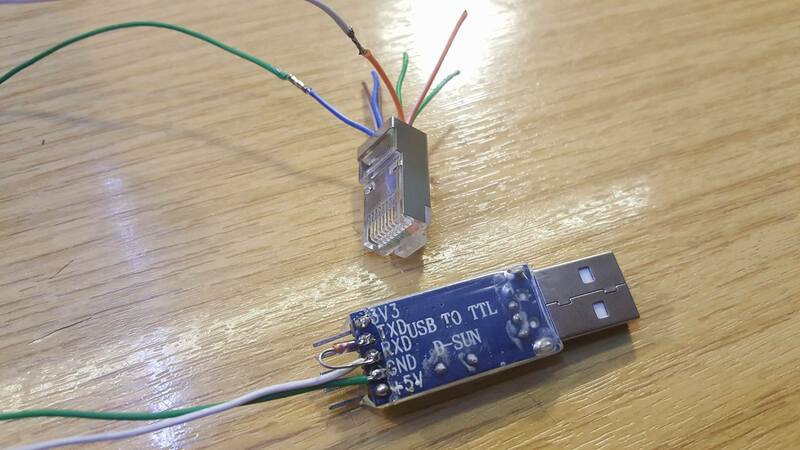 A USB-TTL adapter such as those easily available on eBay was used, which cost around Â£1 (or a little more with genuine chip-sets on). A standard silicon signal diode such as the 1N4148 (almost anything will do), and an RJ45 Ethernet connector to fit the microphone socket. Using an Ethernet cable with standard wiring, the ground connection uses pin 5 of the Ethernet connector, which is usually blue-white. The signal pin used is pin 2, and typically orange. 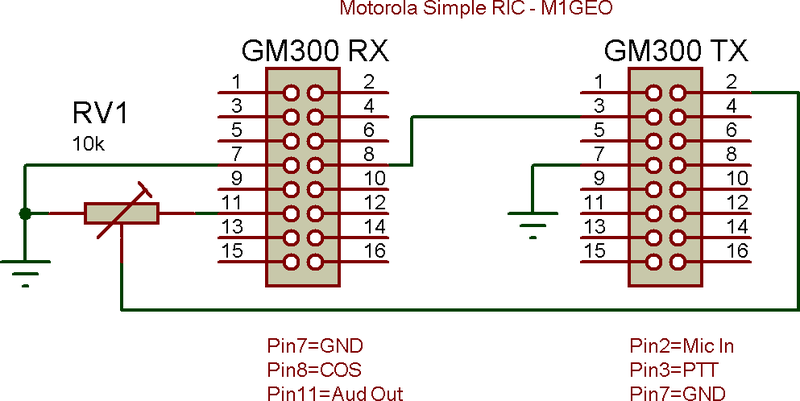 The signal diode prevents collisions and bus conflicts between TX and RX; it is arranged so that the cathode is connected to the TX pin on the TTL adapter and the anode to the RX pin. An old faulty Ethernet cable was hacked about to make the connections. Hopefully this may help others. I brought a cheap cable on eBay, mainly for the connectors, but, I figured before I cut it about, I would make a schematic, in case I ever needed the cable. It’s basically a very crude cable to repeat audio, and, key the transmitter. 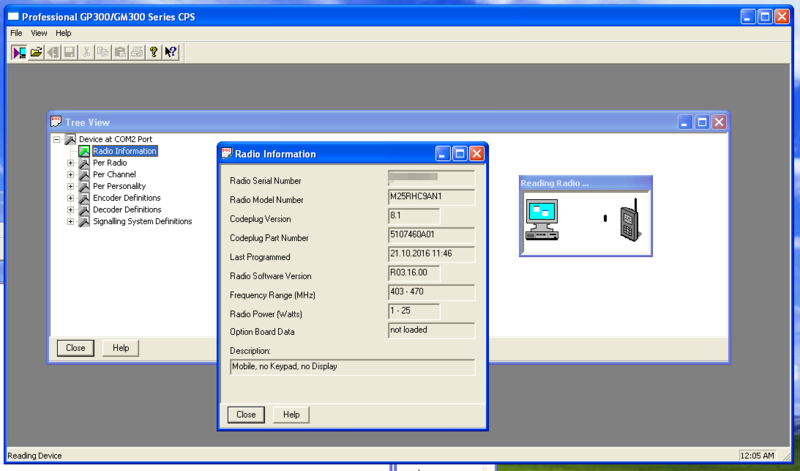 You could easily add in a simple project to send a CW ID to make it legal for use in the amateur bands. Of course, you will need to program the COS and PTT on the correct pins, and, ensure that the signal level (usually low) matches at both ends, so the TX is keyed when the RX is busy, and, not keyed when there is no signal present at the receiver.